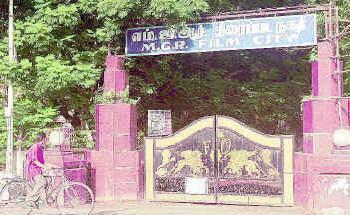 MGR Government Film and Television Institute (MGR), Chennai was established in 1945 as a part of the Central Polytechnic, this institute grew into a specialized institute in 1959 namely Institute of Film Technology. This Institute was renamed as Film and Television Institute of Tamil Nadu. It is one of the premier film institute’s in India functioning under the department of information and Public relations. As Salutation to the greatest movie icon of Tamil cinema Thiru. M.G.R., this institute is proud of its present name MGR Government Film and Television Institute. It is an advanced institute for Film techniques and Aesthetics. The Institute main objective is to impart specialized training in various aspects of Film and Television Production and allied subjects.